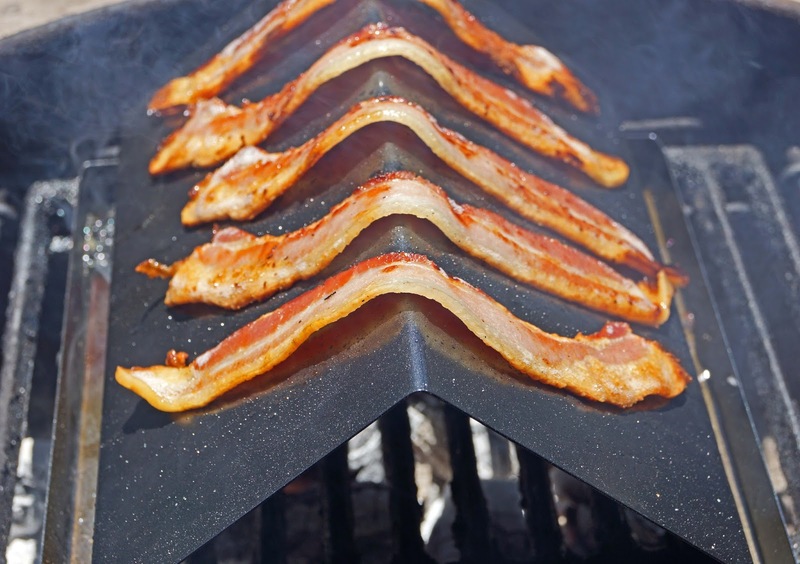 The 'Bacon Griller' is a metal stand that is shaped like a pup tent. It has metal troughs on the bottom to catch bacon love. (grease). Raw bacon is draped over the top of this non-stick utensil. It is placed directly on a hot bbq grill. The heat from the fire heats the metal and cooks your bacon. The fat drips into the trough. In fact this is a healthy way to cook bacon. All the excess fat drips away from your rashers and accumulates in the troughs. 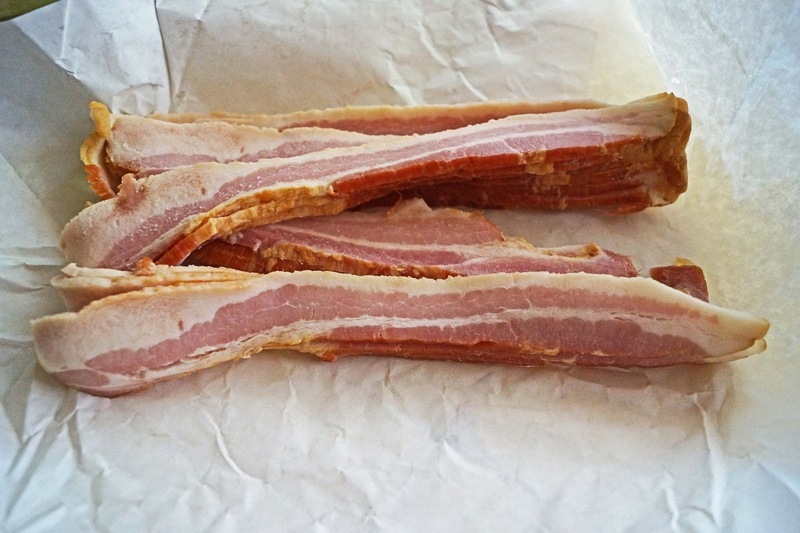 We cooked some great bacon from 'Shasta Valley Meats' Montague, California. This tool worked like a charm. The bacon cooked fairly quickly. 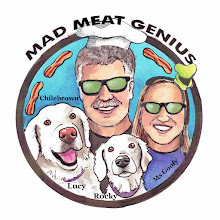 We turned the bacon several times. It crisped up nicely. I want to add the fact it was just plain fun to cook bacon over a barbeque fire. 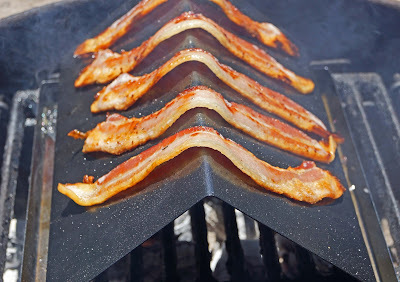 If there was any fault with this tool it is that the bacon did not crisp at the very center were the bacon drapes over the top of the griller. The heat is not as intense at the apex of this cooker. Another drawback is the removal of fat from the troughs for cleaning. 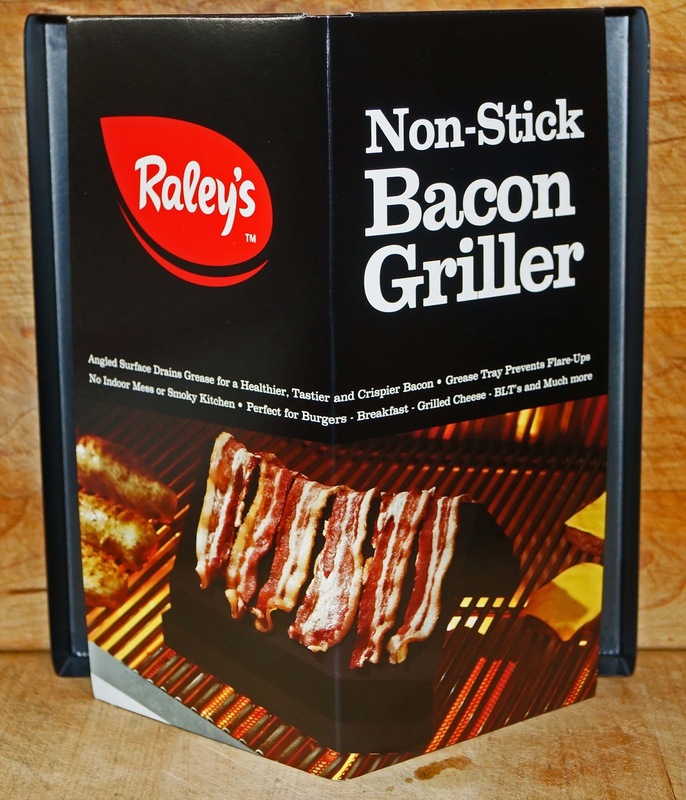 The 'Bacon Griller' may not be perfect but just remember: "He with the most barbeque tools wins!!!!!" BBQ tools are like golf clubs. You can't have too many. 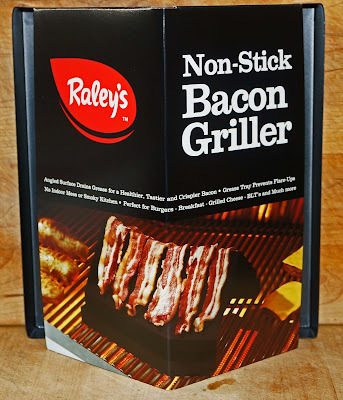 Maybe if you went into the shop and carefully rebent the griller for a lower pitch, it would help with your mid-rasher crispiness? Three Dogs BBQ, I can live with the imperfections. Golf is a sport that I have not tried yet. 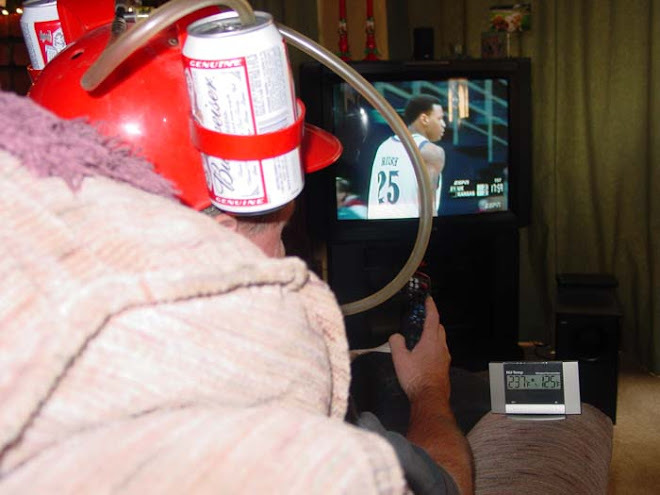 I know I would like it. You can never have too many grilling toys.